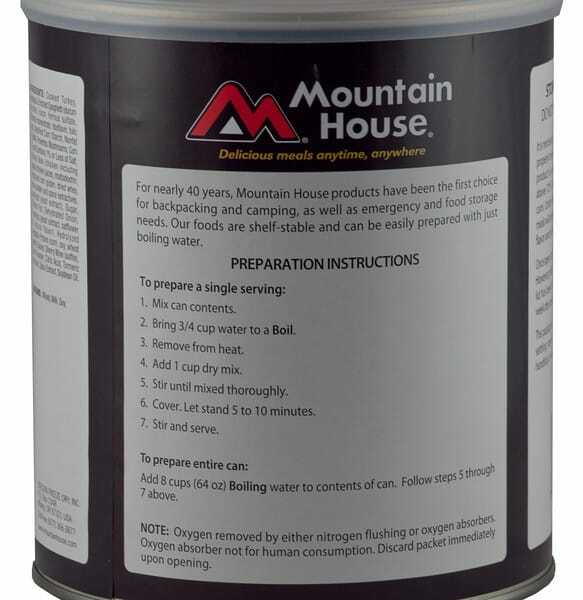 Lasagna from Mountain House is a delicious meal that the whole family can enjoy. 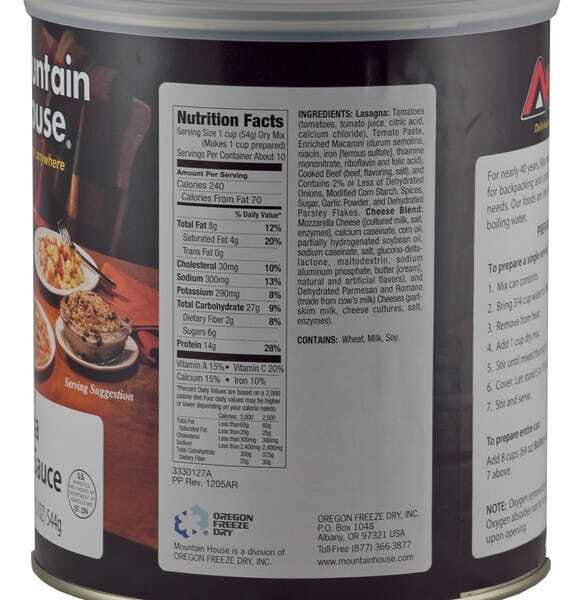 It has a thick meat sauce which not only tastes great, but also provides you with a good amount of protein to help ensure you stay strong and healthy no matter what you’re going through. The large #10 cans are easily stored away for a disaster preparation stockpile of food. You can also pull them out anytime to make a great meal in just minutes. 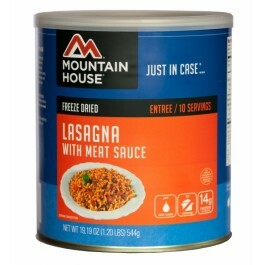 Mountain House lasagna with meat sauce is a healthy addition to any emergency food storage program. 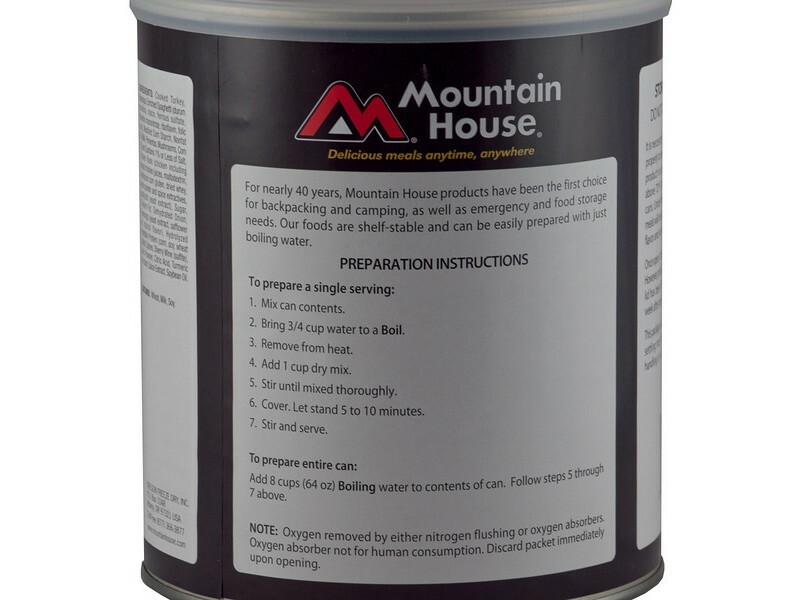 It was specially created to provide you with a wide range of different nutrients that you’ll need during any sort of emergency situation or other disaster. Even just one can will be able to keep an entire family fed for a day or two, which is sufficient for getting through most weather related emergencies. Of course, you can always purchase multiple cans to expand the amount of food you have. 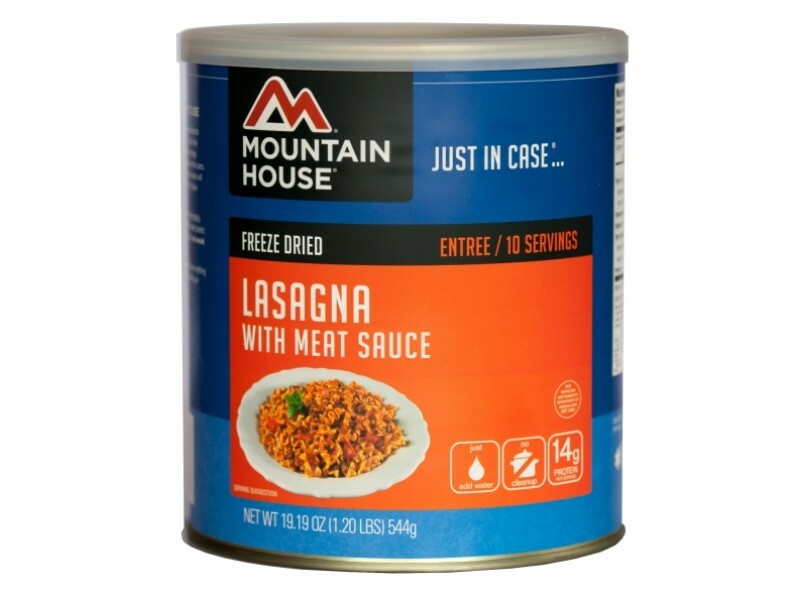 Stockpiling this lasagna and other great food from Mountain House is an excellent way to prepare for the future. When you have this food stored away, you never have to worry about what you will do in the event of an emergency. The fact that the cans allow for a full 25+ year shelf life will allow you to keep the food around for years. No matter when you decide to pull this lasagna out, it will be there for you and ready to enjoy. 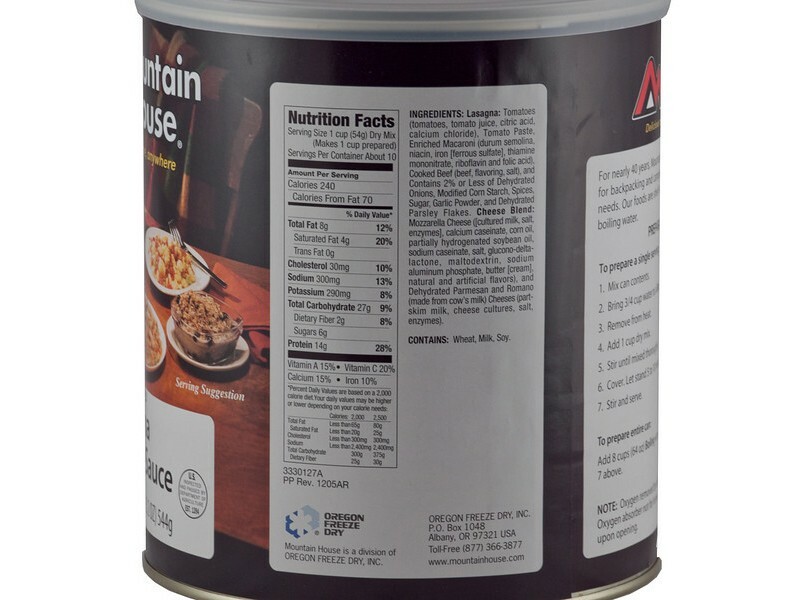 Order your can of this lasagna today, and when you’re ready to eat it, you can have it cooked in just minutes. In fact, all you have to do is add hot water to the lasagna and it will be ready to eat almost immediately. The food is already pre-cooked, so you are really just preparing it with the hot water. Order yours today so you have this great tasting dish available anytime you need it.